The current international order must transform. We, as civil society, commit to support the successful repositioning of the United Nations system with our collaboration, passion, and ideas. Through its institutions, culture, and work around the world, and supported by its activity in a robust and protected civil society space, People-centered multilateralism will generate the political support needed to endure for this generation and future generations. We, the people gathered at the 67th United Nations DPI/NGO Conference, therefore commit to redouble our efforts to transform the world through people-centered multilateral cooperation in a spirit of global citizenship. We call upon states, corporations, other institutions, and other collective and individual stakeholders to join our effort. By so doing, together we will further the 2030 Agenda for Sustainable Development and ensure that no one is left behind. 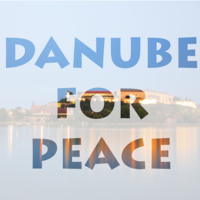 This entry was posted in Danube Peace Boat, Feature, From our Partners, From the MEC, Media Lab, News, Projects and Workshops by MEC-Media Education Centre. Bookmark the permalink.